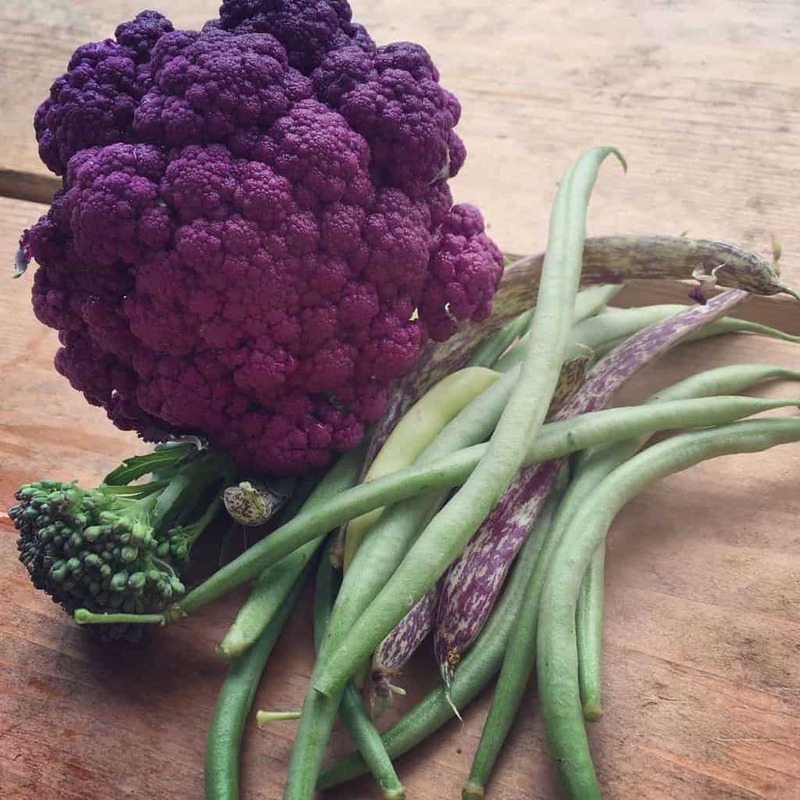 When I shared a photo of our purple cauliflower on Facebook recently some people are surprised that purple vegetable varieties not only exist but they’re natural & not genetically modified that way! 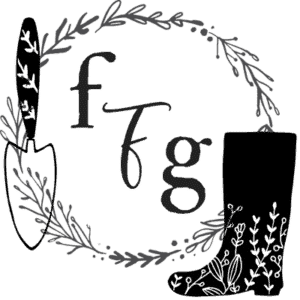 Because we have 3 girls purple as a color is a big thing, and it was fun this past spring choosing purple vegetable varieties to grow in the garden. 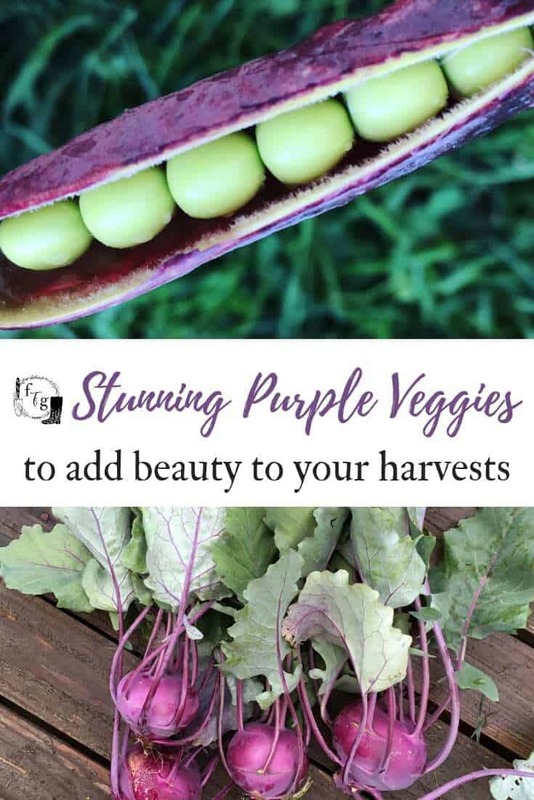 Growing purple vegetables makes for impressive and beautiful harvests. Purple vegetables also offers gourmet foodies a chance to explore new creativeness in the kitchen with that bright color. There are some purple vegetables that don’t retain that purple color, others do. I will make note of that in the purple vegetable lists below. Purple Cauliflower- This year we grew ‘Graffiti’ from West Coast Seeds and it’s a stunner! A lot of purple cauliflower will retain purple color when cooked but it does fade and isn’t as bright. 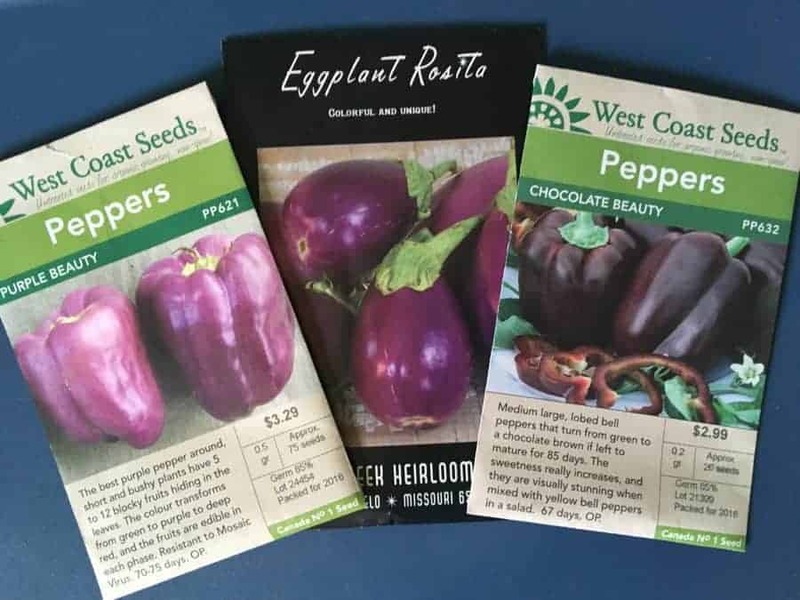 Purple Peppers- add another rainbow color to your peppers! Stunning mixed with other pepper colors. Choose varieties like ‘Purple Beauty’. Learn how to grow amazing peppers and see lots of varieties. 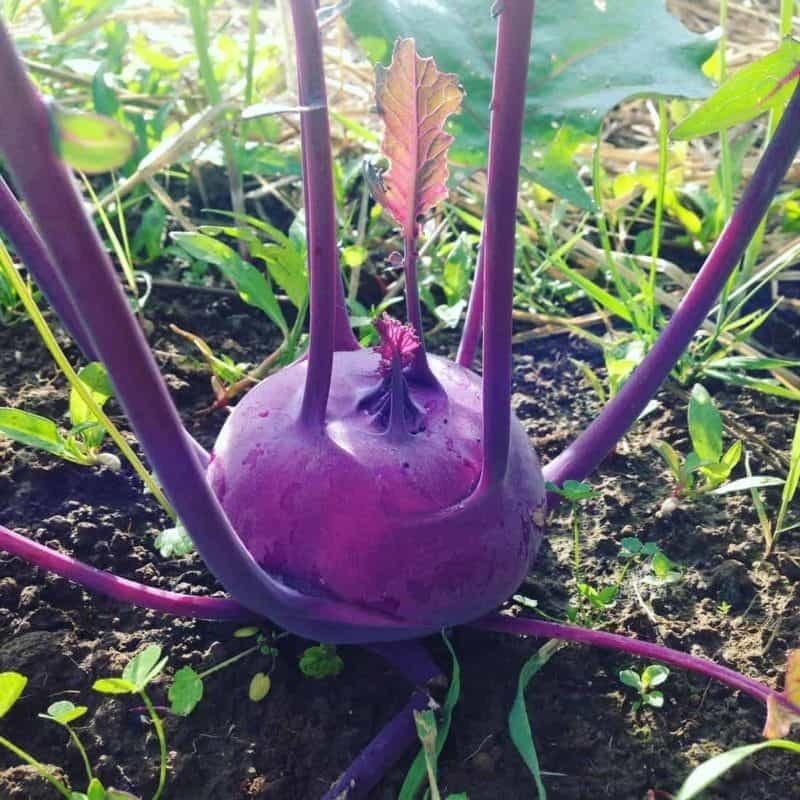 Purple Kohl Rabi- Kohl rabi comes in green or purple varieties (below is ‘Kolibri’ from West Coast Seeds) however it’s only the outside that’s purple, the inside is a light whitish green. It’s still a great purple vegetable that sparks curiosity because of its shape! Here’s a list of recipes for eating kohl rabi. Purple Sprouting Broccoli– This purple crop can take a long time in the garden and is often overwintered for a spring harvest. There are some summer purple varieties like this one from West Coast Seeds that’s a summer sprouting purple broccoli. 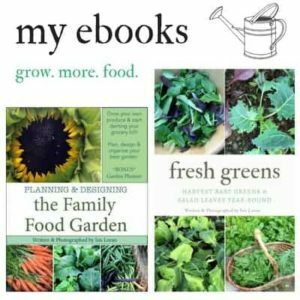 Purple Green Beans– these purple vegetables are super easy and fun to grow but will turn green when cooked. There are purple varieties for both pole beans or bush beans. Purple Asparagus- Purple asparagus will also turn green when cooked. Use it raw or cooked minimally to maintain its color. 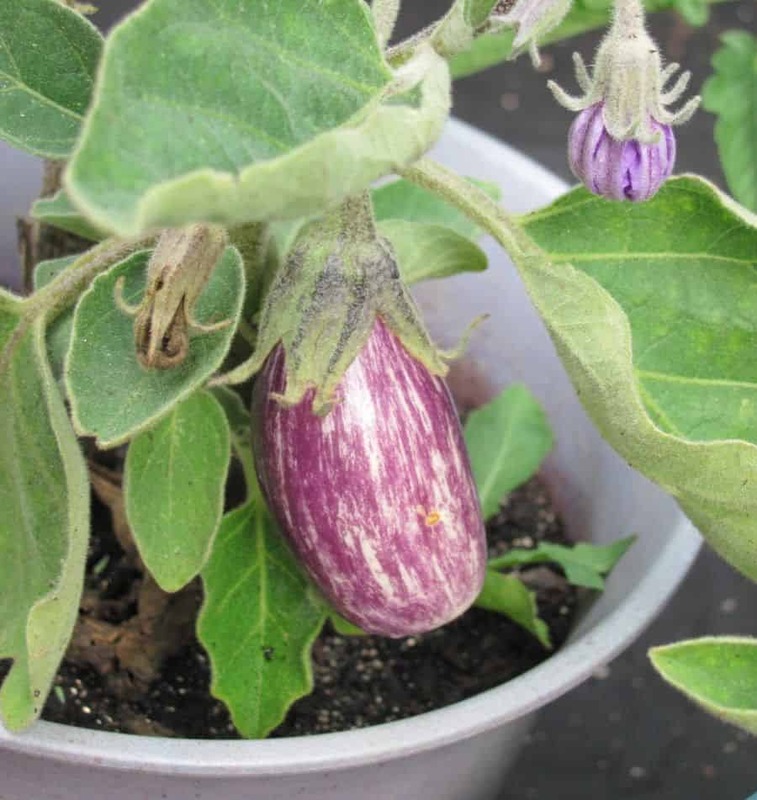 Purple Eggplant– Some are eggplant are speckled purple like ‘fairytale’ pictured below, others are a deep purple. There are many purple varieties to choose from as you can see here from Baker Creek Seeds. 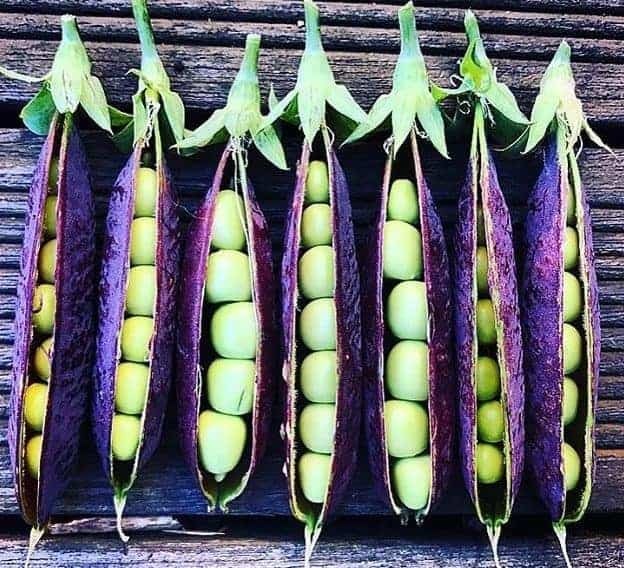 This crop is only purple on the outside. Purple Carrots- are fun to grow, although the shade of purple does depend on the variety. ‘Cosmic Purple’ and ‘Dragon’ are a couple varieties to try. Learn how to grow colorful carrots. 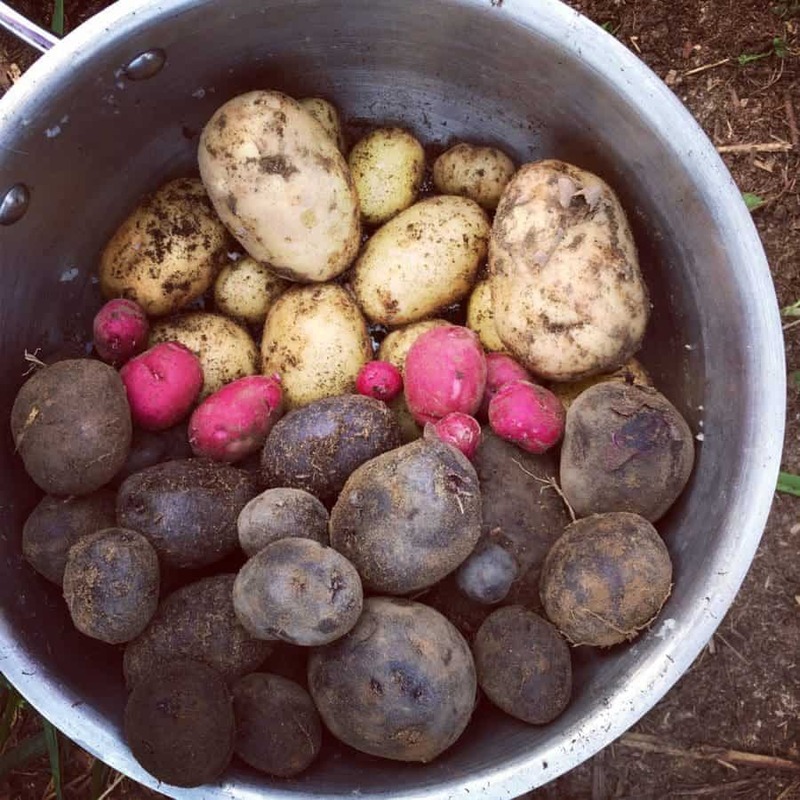 Pretty Pink and Purple Potatoes- were one of the first purple veggies that I grew! We’re growing Russian Blue this year and there are many varieties that are all purple or just have purple exterior. You can grow potatoes in containers if space is tight or one of these 5 growing methods. 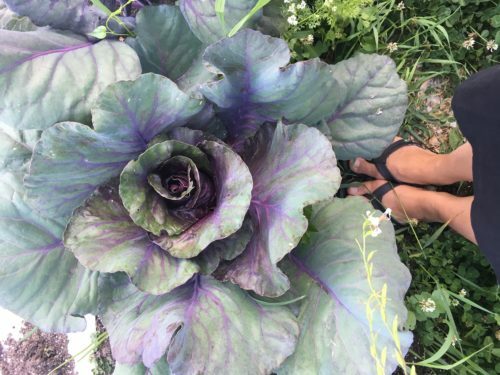 Purple Cabbage- There are many purple cabbage varieties, or some like ‘January king’ that are green & purple streaked. ‘Kalibos’ are super pretty and a deep purple. 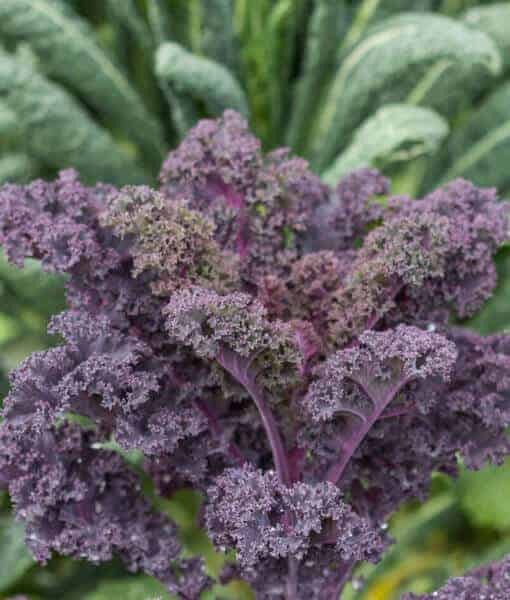 Purple Kale- Varieties like ‘Red Russian’ have a purple stem and partially green and purple leaves. If you’re looking for all purple choose varieties like ‘redbor’ or ‘Scarlet’ pictured below from West Coast Seeds. Partially purple veggies: Many turnip varieties have purple tops, some ‘green onions’ aren’t green but are a reddish purple color. There are radishes and beets that are purple too! Once you start browsing through seed catalogs you’ll notice the world of colorful opportunities that exist to grow! Love the website! Would like to be put on your email list.